If you already play Minecraft on one of the devices listed above, you can now play with Xbox One players online, and sync your worlds from these consoles to your other devices. Note There are no updates or changes to the Xbox 360, PC/Java, Mac or PlayStation/PS Vita or Nintendo Wii U/Switch/3DS versions of Minecraft. The new Minecraft comes packed with newer features and capabilities and is where all future updates and features will appear. The older Minecraft: Xbox One Edition is no longer supported with new features and will not be receiving any updates or new DLC in the future, but you can continue to play Minecraft: Xbox One Edition if you wish. Note To play Minecraft: Xbox One Edition from a disc, you’ll need to install it while in offline mode on your Xbox One. Once the installation is complete, launch the game before connecting to Xbox Live again. You’ll be able to play Minecraft: Xbox One Edition from that disc going forward, whether you are online or offline. Visit minecraft.net/article/better-together-update-here for more info. When you play the new Minecraft on your Xbox One console, you’ll be able to sync your existing worlds from the Xbox One Edition. Additionally, if you have a Realms subscription, your realms will also appear on any Windows 10, iOS, Android, Kindle, or Gear VR devices you own. Sign into your console using the account with which you previously saved your Xbox One Edition world. Launch Minecraft, and then select Play from the main menu. On the Worlds tab, select Sync Old Worlds if your existing games haven’t already been migrated. Select the world that you want to migrate and wait for the conversion to complete. Your world will now sync to the new Minecraft when you sign in. In addition to world sync, certain skin pack, texture pack, and mash-up pack purchases that you made on the console will also be available when you play the new Minecraft, and on your other devices. The new Minecraft version allows you to access the Marketplace, and you can purchase Minecraft Coins to pay for skin packs, texture packs, worlds and mash-up packs. If you already play Minecraft on a portable device, and you have Marketplace content or Minecraft Coins, these will also be available to you in the new Minecraft version. Additionally, any Marketplace purchases that you make on your console will automatically appear on your portable devices. How do I know which version of Minecraft is which? 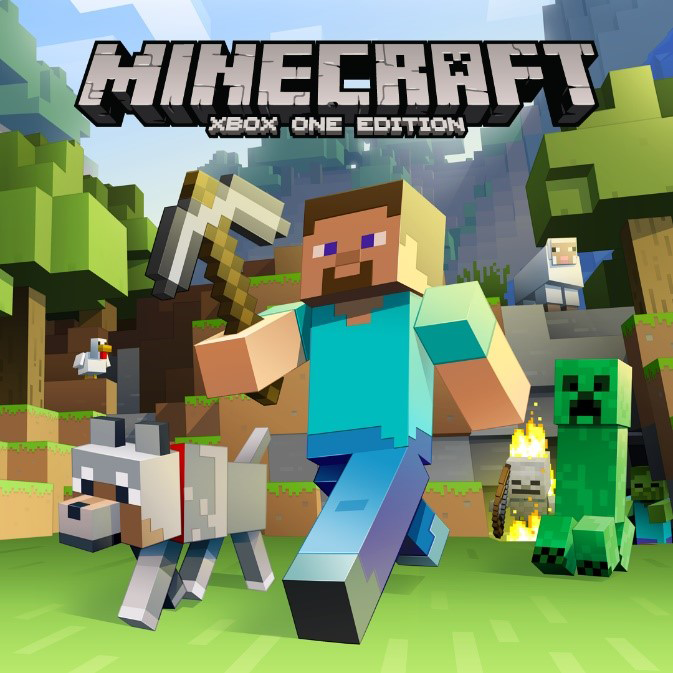 The original version of Minecraft on Xbox One is titled “Minecraft: Xbox One Edition.” The new version is simply called “Minecraft.” You will see the name of the game on the splash screen when you launch it. I made purchases on the original console editions of the game. How do I see them in the new version and on my portable devices? Most content items will transfer over. Go to minecraft.net/article/better-together-update-here for more info on which items will and will not transfer over. How do I purchase a Realms subscription and access the Marketplace on my console? To purchase a Realms subscription or Marketplace content, you’ll need to launch the new Minecraft version of the game on your console. Do I need an Xbox Live Gold subscription to play Minecraft online? For local multiplayer gaming, you don’t need an Xbox Live Gold subscription. How do I play mini-games? Currently, mini-games are only available in Minecraft: Xbox One Edition. If you want to continue playing them, you can just launch Minecraft: Xbox One Edition and keep playing them. Some online servers in the new Minecraft will have experiences that are similar to mini-games. I own Minecraft: Windows 10 Edition already. Does this mean I can play Minecraft on Xbox One? No. Minecraft is not an Xbox Play Anywhere title – if you want to play on Xbox One, you’ll need to purchase Minecraft separately. Visit the Minecraft page for more info on how to purchase on Xbox One. I own Minecraft: Xbox One Edition on disc and played for or made a DLC purchase within the qualifying time periods. Where is my game? 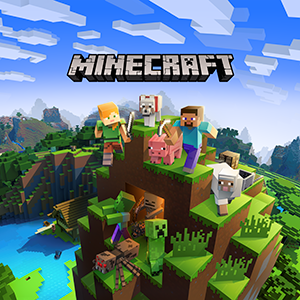 If you’re a Minecraft: Xbox One Edition owner and are eligible based on your purchases or game play, the process for receiving the new Minecraft game is different from a digital game owner. In 14 to 21 days after the requirements are met, you’ll receive a message from Xbox Live with a redeemable code that will grant you the license to play the new Minecraft. Select “Messages from Xbox Live” by pressing the A button . I earned achievements when I played the original console versions of Minecraft. Do I get to keep them? Yes, any achievements that you’ve already earned will continue to show on your Xbox account. You can even continue playing the original console version to continue earning any that you’ve missed. When you play the new Minecraft version, you’ll earn additional achievements. Would you like to contact Support regarding the "Minecraft updates and versions" issue you were reading about or a different issue?